Coming October 27, 2018. What’s Halloween without a few zombies! The Zombie Walk – Issaquah Under Seige! 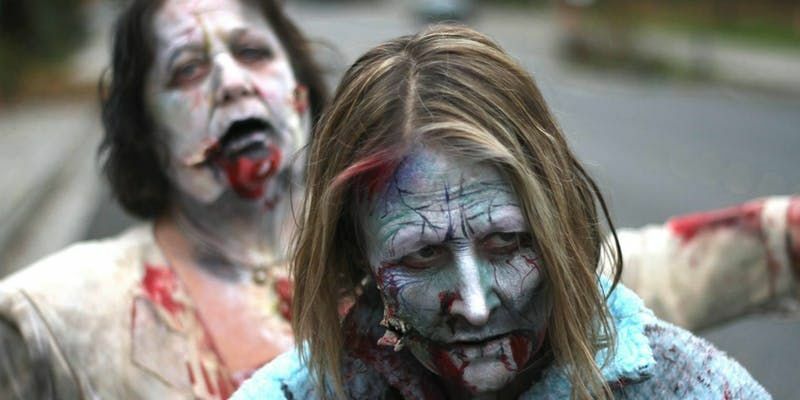 is a fun-filled zombie parade, complete with flash-mob dance. The quaint, historic downtown streets of Issaquah, a suburb of Seattle, are turned into the city of the undead. Don’t worry if your zombie face is in the shop, they’ll have people on hand to help you out getting your ghoulish face on. Then there’s a couple of hours to practice your Thriller and Time Warp Dance moves with a dance instructor. And finally, you get to show your stuff with the Zombie Crawl down Front Street and at a flash-mob in front of City Hall. The Zombie Walk – Issaquah Under Seige! is a “killer” way to bring on your Halloween spirit!